Sometimes our bling needs a little cleaning to bring back its original shine! Our cleaner is made here in the USA with a non-toxic formula: Ammonia-Free! 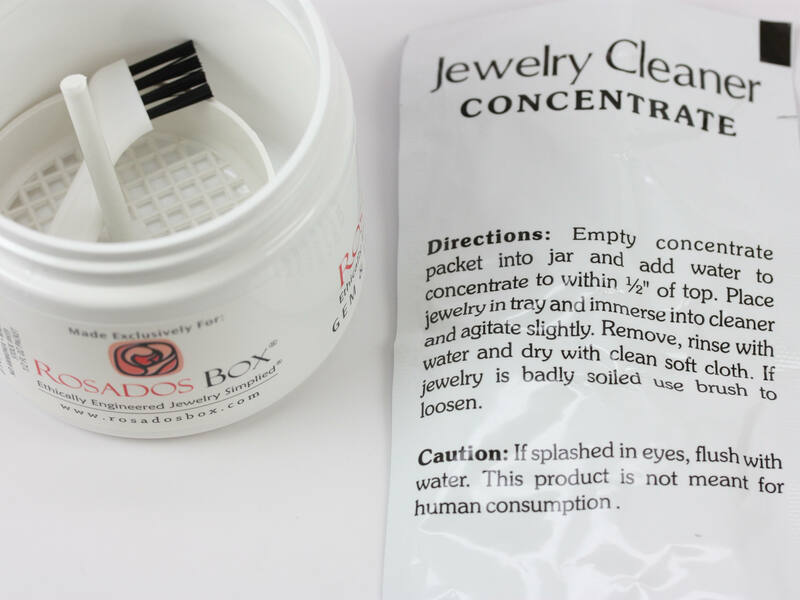 Recommendations: Please clean your jewelry at least once a week for optimal results! 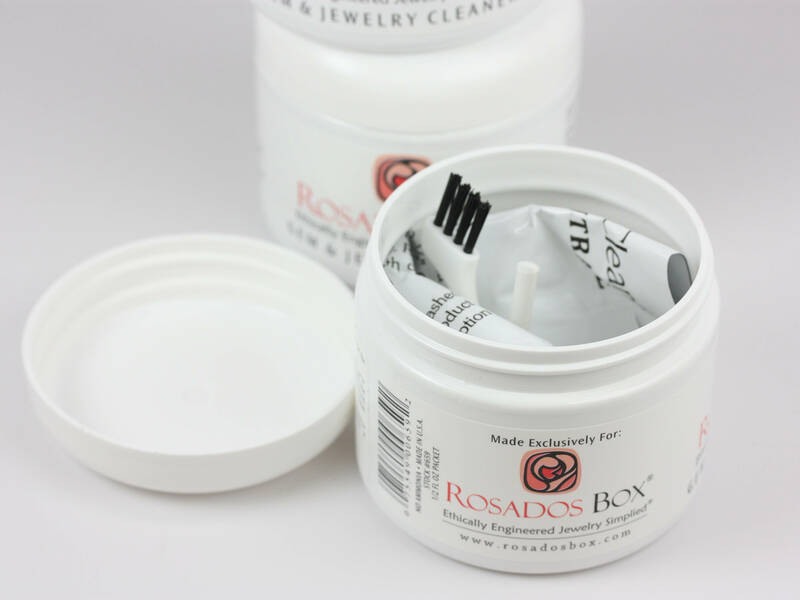 If there is a lot of build up, soak your jewelry in a bowl of water (2/3 parts) with gentle dishwashing soap (1/3 part) overnight to loosen up the build up. Then proceed with the recommendations on the jar. 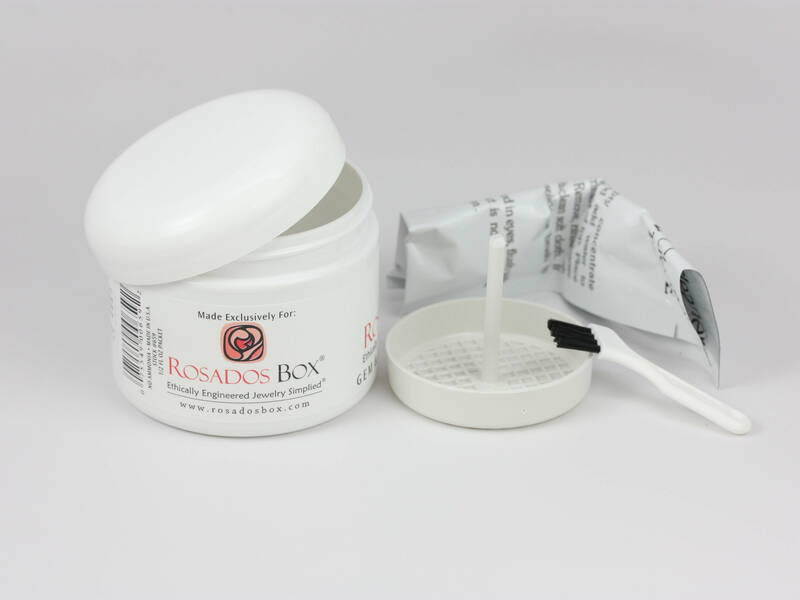 As a friendly reminder, this cleaner can be used only on gold, platinum, diamonds, and non-porous gemstones only. Please do not use this cleaner when stones are loose or glued in. This is my 5th purchase from Rosados Box. (ring sizer, engagement ring, 2 wedding bands were purchased prior) Each time I have had a flawless experience. Shipping was super fast and customer service was exceptional. You will not regret shopping here.